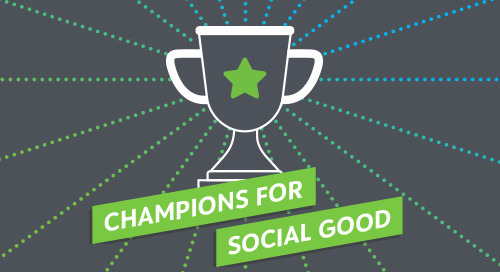 In this episode of the Champions for Social Good podcast, Rachel Hutchisson (@RachelHutchssn) , vice president of Corporate Citizenship and Philanthropy at Blackbaud (@blackbaud), speaks with Susan McPherson (@susanmcp1), founder and CEO of McPherson Strategies, about how organizations can effectively leverage social media activism to advance a cause. Susan explains the best uses for hashtag campaigns and why social media activism sometimes doesn’t work, and details the steps to creating successful and sustainable social campaigns. Susan also talks about why hashtag activism has been a powerful tool for empowering women and girls. Finally, Susan and Rachel discuss some successful hashtag campaigns led by nonprofits and companies and what made them work so well, and what organizations need to do to successfully engage Gen Z.